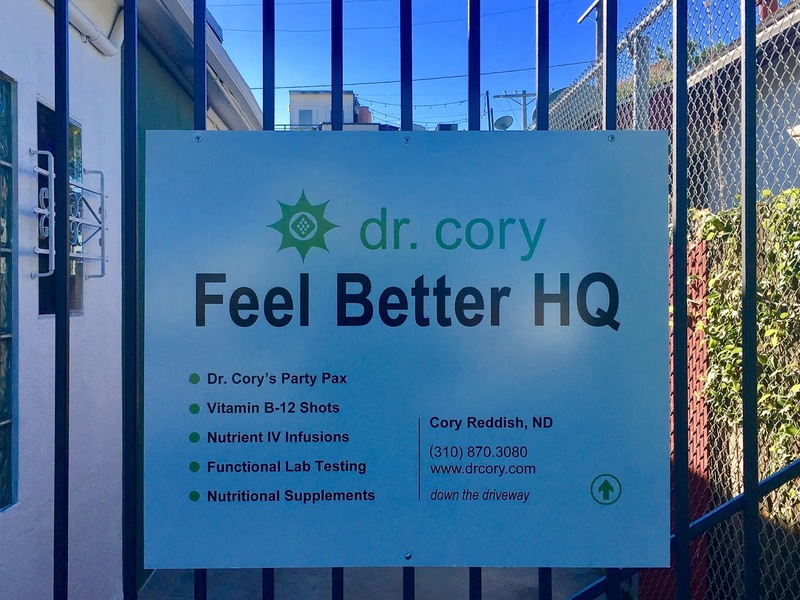 Blogtown: Dr. Cory's Feel Better HQ! 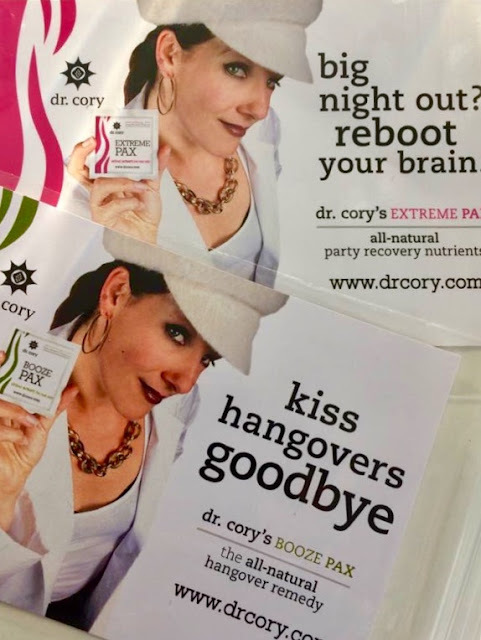 Dr. Cory's Feel Better HQ! Although 2017 feels somewhat better mentally, I'm not sure I've ever felt worse physically. I cannot seem to shake the awful cold/flu/whatever thing going around, and feel like the spout in my head never shuts off, and the coughing is almost constant. It's disgusting. 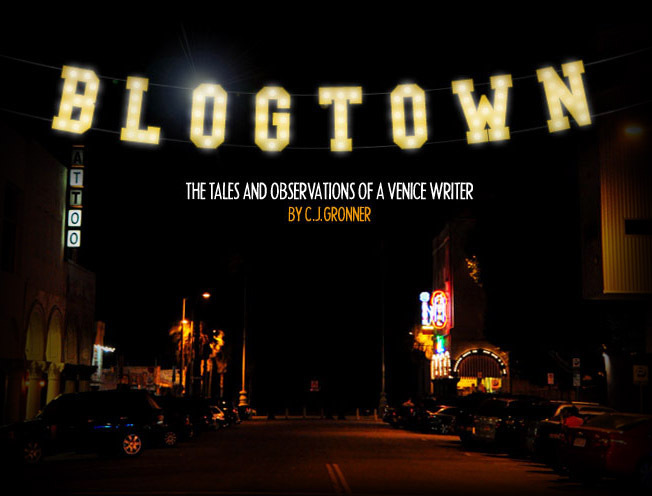 I've been passing by a sign on Abbot Kinney for a while now on my way to the French Market that had me intrigued. "Dr. Cory's Feel Better HQ". Well, last week all I wanted to do was feel better, so I dropped in to find out what was behind the sign. Dr. Cory is Cory Reddish, ND, a fun and vibrant woman who is Venice born, and raised in the Canals. She was always the one bandaging the dog as a little kid, which led her to an internship with a doctor, and pre-Med at UC San Diego. A trip to Africa turned her on to other kinds of medicine, and she began learning about naturopathic medicine and using the healing power of nature. Reddish enrolled at the National University of Natural Medicine in Portland, Oregon, and soon became pretty much the town doctor of Port Townsend, Washington, where she moved to be near her sister. "I just want to help people feel better! ", exclaimed Reddish in telling me her story, and her enthusiasm is proof of that. While living in the Bay Area for 11 years, Reddish was all Naturopathy during the day and all party at night, when she was a candy girl in nightclubs to make ends meet. That got her thinking that those two worlds could merge, and began attending Burning Man and other festivals with her "Dr. Cory's Party Pax" - little bundles of herbal remedies that Reddish created for post-party hangovers, travel fatigue, food indiscretions, etc ... and became basically a healthy candy girl. After years of that, Reddish wanted to ground out and get back to Venice. She was craving our vibes, our air quality, and the beach and also wanted to crate a place that could be a healthy resource for the community that she hails from. Before we even got to talking, Dr. Cory had me roll up my sleeve and get a B12/Immunity booster shot to try and put a dent in this monster cold I have. "I don't know why, but I love giving shots," said Reddish as she prepared to jab me. I barely felt it and got a sparkly star sticker for my bravery. I also got some natural cough medicine stuff, as Reddish stressed that it's important to "develop your medicine chest at home, so you have it on hand when you need it." Smart. Located next to the Sarlo Real Estate plaza, in the old barber shop space back off the street, Feel Better HQ is a wonderful space, that Reddish hosts B12 shot happy hours on Tuesdays and Thursdays, and looks forward to offering music nights and collaborations to make the location truly a headquarters for good, healthy fun. 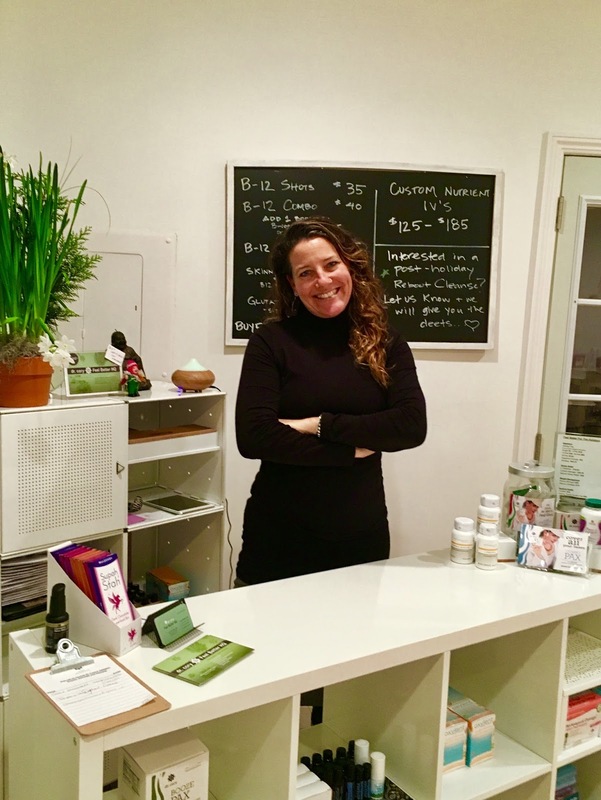 Since Reddish opened her doors in September of 2016, things have really been picking up, as post-holiday, new years resolutions, and that dang bug going around have caused many more locals to seek out her services. In addition to those great shots and natural medicines on offer, you can get Vitamin IV Drips, food allergy testing, and health consultation. Dr. Cory is even available for house calls - on her bike! How very Venice! And Reddish loves her Venice. From surfing at the Breakwater, to eating at Zinque and Gjelina and shopping at Burro (she was grade school classmates with Burro's Erinn! ), Venice still holds Reddish's heart. "I've been really impressed with the quality of the people that I've met since I've been back," Reddish told me. "They're very conscious and kind, they volunteer, they give back, and they support other people trying to make it here. 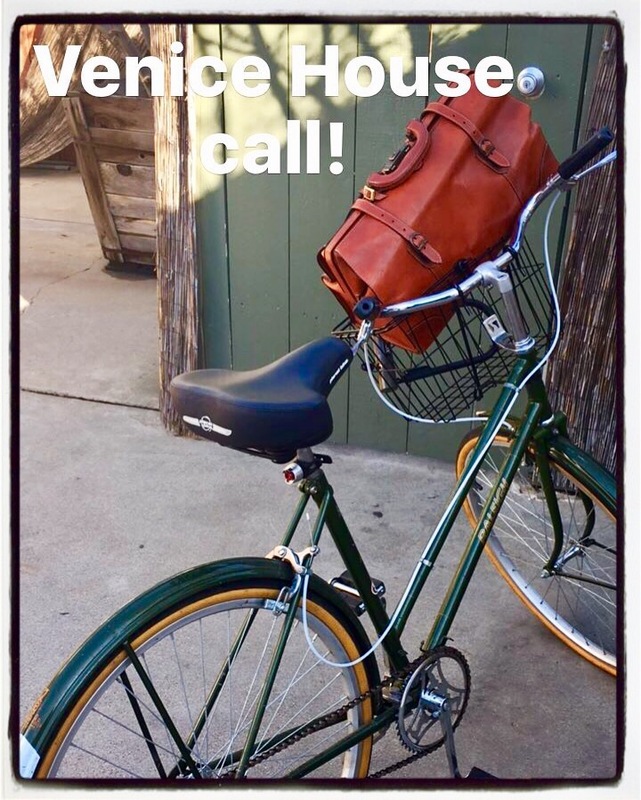 There is a vibrancy and a uniqueness to Venice that I want to be a part of and contribute to." The Feel Better HQ is both vibrant and unique, and perfectly timed to help us all dealing with the Great Cold of 2017. "No matter where you are on the health spectrum, you can always feel better," explained Reddish. Like maybe if I'd been on some of her supplements in the first place, I might not have ever caught this bug. As Reddish gets more involved in the community, cool things are coming up, like a wild-caught Alaskan salmon pop up at the space, a bone broth pop-up from Owl Venice, music nights, yoga events ... all good things. 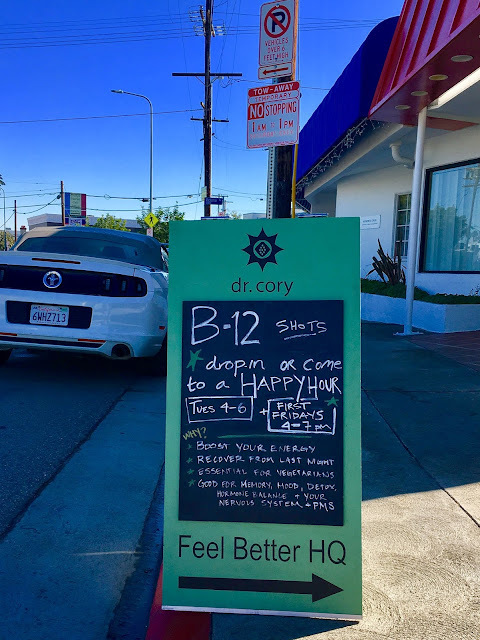 I think it would be a great idea for a film set to have Dr. Cory come by, or a work office morale thing, or a rock tour, or a booth at the street fair, or just walk by and drop in like I did, and feel better! Your health is the most important thing you've got. with water and micronutrients from a smoothie or coconut water, eat a healthy meal the next morning, and take detoxicated. The Anti-Inaugural Ball With Prophets Of Rage! A Community Fundraiser To Save Penmar! On The Scene At L.A. Art Show 2017! 50 Years Of The Doors In Venice! Holiday Break And Back ... Happy 2017!